Located In: Maplewood, Ramsey County. 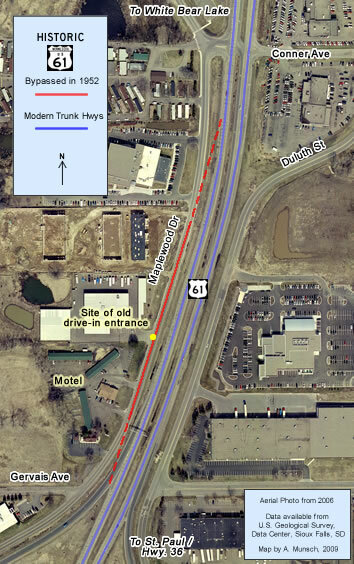 A short section of the service drive along the west side of U.S. 61 just north of the interchange with State Highway 36 in Maplewood was once part of the original paved highway between St. Paul and White Bear Lake. The original alignment of U.S. 61 through what is now Maplewood was constructed in 1921 as part of a project to pave the road between St. Paul and White Bear Lake. The original pavement was 24 feet of asphalt over a concrete base. The road remained unaltered until a 1937 project widened the grade to make room for gravel shoulders. 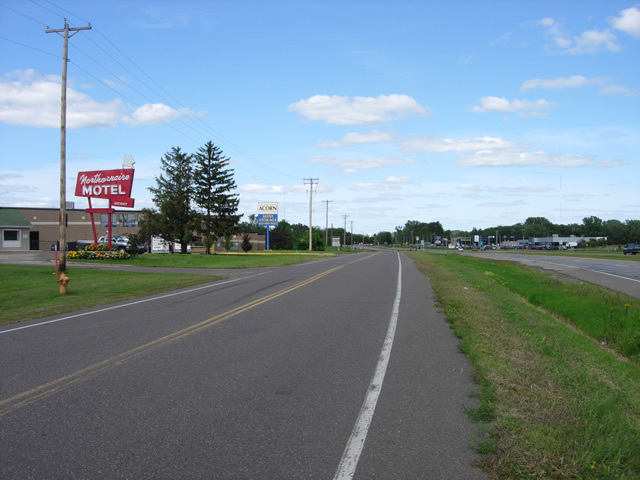 The original highway was replaced in 1952 by the construction of the current divided highway between St. Paul and White Bear Lake. The service drive has since been rebuilt and extended both to the north and south. It once served as the entrance to a drive-in theatre, now gone. Maplewood Drive, as it appears today, looking north. 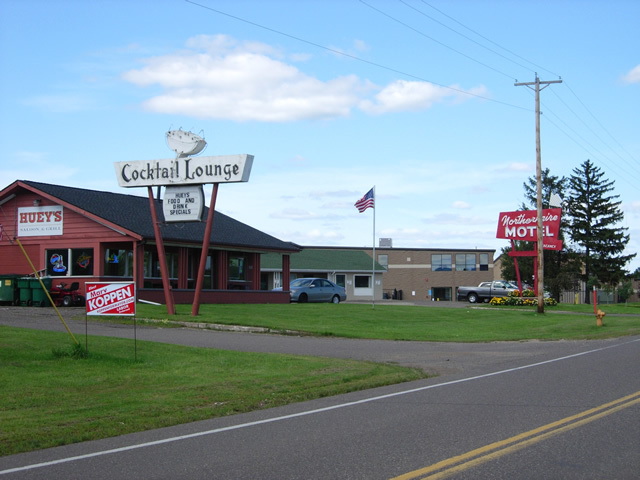 Note the classic sign for the "Northernaire Motel". The motel was constructed along the old highway after it was bypassed. Another view of the motel and another classic neon sign for what is now Huey's Saloon and Grille.